Product #16112 | SKU KIT-WW-AHDBT302 | 0.0 (no ratings yet) Thanks for your rating! 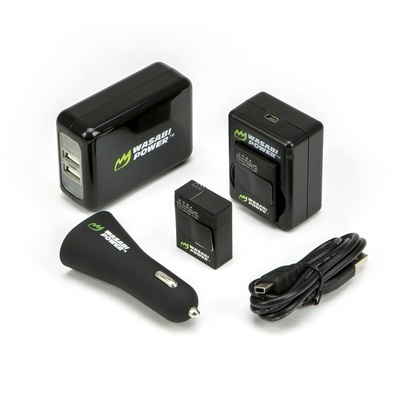 This Wasabi Power battery and charger kit includes 2 batteries, dual USB charger, USB cord, dual USB car charger, and dual USB wall charger for the GoPro Hero3 or Hero3+. All items meet or exceed OEM standards and come with a 3-year manufacturer warranty.